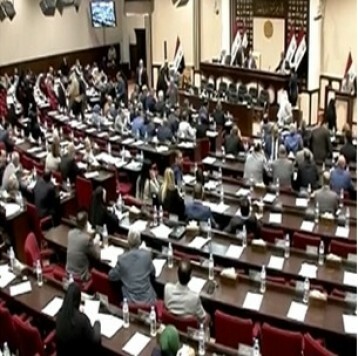 In its session on 12 January 2019, the Iraqi parliament completed its first reading of the draft Cybercrime Law, which includes punishment amounting to life imprisonment and high fines for offenders. The Gulf Centre for Human Rights (GCHR) is concerned that the law threatens freedom of opinion and expression and calls for it to be amended before it becomes law. Article 2 of the law states that: "This law is intended to provide legal protection for the legitimate use of the computer and the Internet and to punish perpetrators of acts that constitute an infringement of the natural or moral rights of its users and prevent its misuse in committing computer crimes." However, the loose wording of several articles of the law makes them ambiguous and severe penalties that are not proportionate to the type of violations will lead to the confiscation of public freedoms, especially freedom of expression on the Internet. Thus, GCHR fears the law will be used to target Internet activists and bloggers for their peaceful activities. B. To engage, negotiate, promote, contract or deal with an enemy in any way with a view to destabilising security and public order or endangering the country." The text of this article undoubtedly raises real risks due to its broad nature and ambiguity, which mean the law can be easily used to target human rights defenders and other activists as well as opponents of government policies or leaders of peaceful protests who are active on the Internet to defend the civil and human rights of their fellow citizens. 1. To carry out terrorist operations under false names or to facilitate contact with leaders and members of terrorist groups. 2. To promote terrorist acts and ideas. " 1. To provoke, threaten or condone armed insurrection, provoke sectarian strife, disturb the security and public order, or harm the reputation of the country. 3. To publish or broadcast false or misleading facts with the intention of weakening confidence in the electronic financial system, electronic commercial and financial papers and the like, or harming the national economy and the financial confidence of the state." The loose wording of the article includes many terms that are not defined and can also be used to trap Internet activists, opponents of government policies or leaders of peaceful protests under the guise of inciting sedition, undermining security and public order, or abusing the reputation of the country. It might also target those who are working on exposing financial corruption in banks and government and private banks. 2. Refrain from providing information or data to the judicial or administrative authorities." This article seriously threatens the freedom of the press as it gives the right not only to the judiciary but also to the government authorities, including the security services, to force activists, journalists and citizen journalists or even ordinary citizens to provide all information and data requested in flagrant violation of their right to privacy and to protect their sources of information. Article 21 includes another broad and vague addition to the proposed law, which states the following: “Thirdly, a penalty of imprisonment for a period of not less than one year and a fine of not less than 2 million dinar [USD$1680] and not more than 5 [USD$4200] million dinars shall be imposed on anyone who violates any religious, moral, family or social principles or values ​​or privacy of private life through the Internet or computers in any form or shape." Article 23 unlawfully imposes collective punishment on Internet activists, as well as suppliers and sellers of computers, as it states the following, "A term of not less than 1 year and not more than 2 years and a fine of not less than 3 million dinars [USD$2520] and not more than 5 million dinars [USD$4200] shall be imposed on any person who has intentionally produced, sold, imported or distributed any of the devices, tools, computer programs, passwords or access codes that led to the commission of any of the crimes provided for in this Law." Article 24 sets forth the investigation procedures of the current criminal bodies, as it states that: "the investigative authorities shall carry out the investigation procedures and collect evidence and request it from its sources in the crimes provided for in this law." This means giving the task of collecting evidence and investigating cybercrimes to non-specialised entities rather than establishing a competent and skilled private body responsible for gathering evidence and investigating these crimes. Thus, this law is contrary to the Iraqi Constitution adopted in 2005, in particular articles 15, 17, 37, 38, 39, 40, 41 and Article 42, all of which affirmed the right of citizens to freedom, including personal privacy, freedom of information, freedom of expression by all means, freedom of assembly and peaceful demonstration, freedom of association and political parties, freedom of communication, postal, telegraphic, telephone and electronic correspondence, and freedom from censorship, wiretapping or disclosure of personal information. In addition to all that, Article 46 of the Iraqi Constitution has expressly stated that "the exercise of any of the rights and freedoms set forth in this Constitution shall not be limited or restricted except by law or on its basis, provided that such limitation and restriction shall not affect the essence of the right or freedom." This constitutes a blatant contradiction between the spirit of this article of the Constitution and the application of the Cybercrime Law that restricts the freedom of citizens on the Internet. Form an independent legal framework to protect the digital rights of all citizens.